Business View Magazine interviews Amber Weaver, Sustainability Officer of Asheville, NC, as part of our focus on best green practices of American cities. The City of Asheville, the county seat of Buncombe County, N.C., is located in the Blue Ridge Mountains at the confluence of the Swannanoa and French Broad Rivers. With a year-round population of approximately 92,000, Asheville’s economy is largely tourist-based and the city is internationally known for its vibrant arts scene and historic architecture, including the dome-topped Basilica of Saint Lawrence, and the vast, 19th-century Biltmore Estate, which displays artwork by masters like Renoir. The Central Business District is filled with independent restaurants and shops, galleries and museums. In the nearby River Arts District, former factory buildings house many artists’ studios. 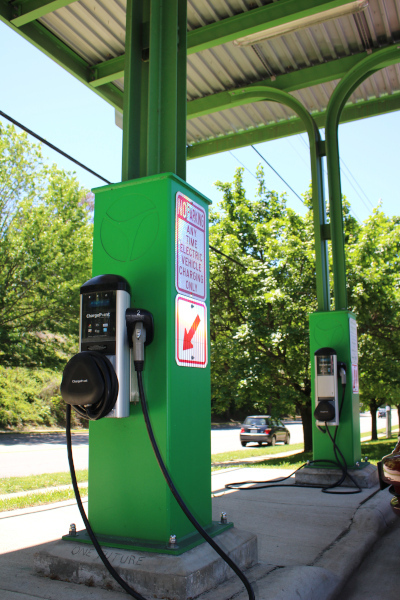 In 2008, Asheville adopted a carbon reduction goal for municipal operations of 80 percent by 2050, and, according to Sustainability Officer, Amber Weaver, Asheville’s City Council recently adopted a resolution providing for 100 percent renewable energy for the City’s municipal operations by the year 2030. In order to determine what options are available to achieve that goal, and which ones are acceptable to the community at large, Buncombe County, the City of Asheville, and Duke Energy Progress, the local energy utility, established the Energy Innovation Task Force (EITF) to research and recommend energy efficiency and demand-side management programs. Weaver reports that, initially, Duke Energy Progress and Asheville residents were not on the same page. Even though the utility is retiring a coal-burning plant, it planned to replace it with one that burns natural gas. “The feedback received from the Asheville community was that the utility’s plan still burns fossil fuels, and more renewables should be encouraged,” she explains. “In addition to the natural gas plant, the utility also wanted to build an additional peaker plant, and our community said, ‘Absolutely not. We would rather you spend that money on renewables and programs that help homeowners and business owners reduce their energy usage though energy efficiency and other programs offered by the utility.’” Negotiations between the County, City, and Duke Energy Progress resulted in the utility’s pledge to support the community’s efforts towards 100-percent renewable energy. In addition, the City, County and the utility partnered with the Rocky Mountain Institute in Colorado, which helped identify peak energy use times, ultimately determining, via the data, that it was the result of energy usage from residents’ homes. “Asheville has an extremely old building stock here, which is resulting in peak energy demand in the early morning hours during the winter, when people are first waking up, heating their homes, and taking hot showers,” Weaver explains. With that information in hand, the EITF created the Blue Horizons Project to help enlist public support and provide easy access to resources designed to help Asheville’s residents save energy and take an active part in creating a sustainable future for the City. Another agenda item in Asheville’s Office of Sustainability concerns climate resilience. Resilience is defined as the capacity of a community, business, or natural system to prevent, withstand, respond to and recover from a disruption. Many local governments are recognizing the need to build climate resilience, as extreme weather events are becoming more frequent and/or more severe than in the past. 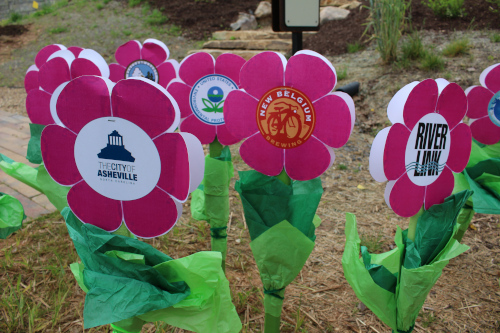 Since 2016, the City has been working with UNC Asheville’s National Environmental Modeling and Analysis Center (NEMAC) to determine how Asheville can become more resilient to environmental climate changes. The primary purpose of the climate resiliency planning process is to consider climate-related threats and hazards (such as fire from drought or flooding/landslides from heavy rain events) with a goal of becoming more resilient, or better prepared for them, through what is called “adaptive capacity.” City departments such as such as Public Works, the Asheville Fire Department, and Information Technology Services have been part of this research and planning process. NEMAC and City staff have been analyzing possible impacts of extreme weather by modeling the city’s vulnerabilities — things like the location of steep slopes that could wash out in a flood, how much impervious surface it has that makes rainwater travel faster, and the percent of natural areas for habitat and conservation that are susceptible to wildfires during a drought. Following completion of a Climate Resiliency Assessment, the project will include an initiative to promote preparedness to climate threats through communication, education, and awareness of the results of the climate resilience planning process. That information will help identify actions the City — and its residents and businesses/industries — can take to best prepare for these hazards and other future possible conditions. A team of City staff participated in workshops, facilitated by NEMAC, to identify key messages for public communication. These messages will highlight information and strategies the public can consider for building resilience on their properties and within their neighborhoods. The messages will be targeted towards specific public audiences, including neighborhoods and residents, residential properties, commercial properties, and industrial properties. The results of the staff workshops will then be used to develop a resource guide for the public. UNC Asheville’s NEMAC is tasked with the design and development of the content for the publication. This content will also be used by IT services in the development of a complementary public resource guide via the City’s SimpliCity search platform, to be available by summer 2019. 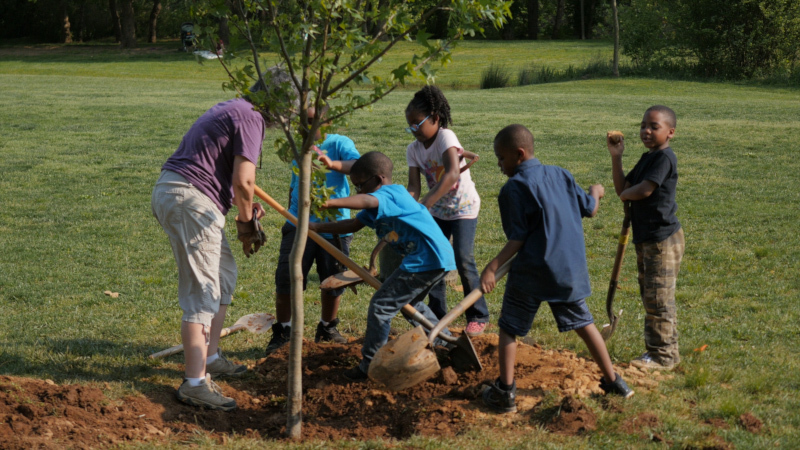 Public information sessions will be held after the development of the publication and will also include engaging and implementing the Government Alliance for Race and Equity toolkit to ensure equitable access and implementation of suggested best management strategies for building resilience to Asheville’s climate threats. Lime Energy, a member of the Willdan Group, is a national energy services company specializing in the delivery of innovative clean energy solutions to hard-to-reach customers. Lime primarily serves small businesses and has completed 150,000 energy efficiency projects saving customers more than $1 billion on their energy bills.